Every month the College staff nominate deserving employees for our “Achiever of the Month” award. This is generally held on a Friday, with Hazel Timm our Hospitality Manager providing coffee, tea and a little baked something. Many a good chat is had whilst waiting for everyone to gather before the award winner/s are announced. 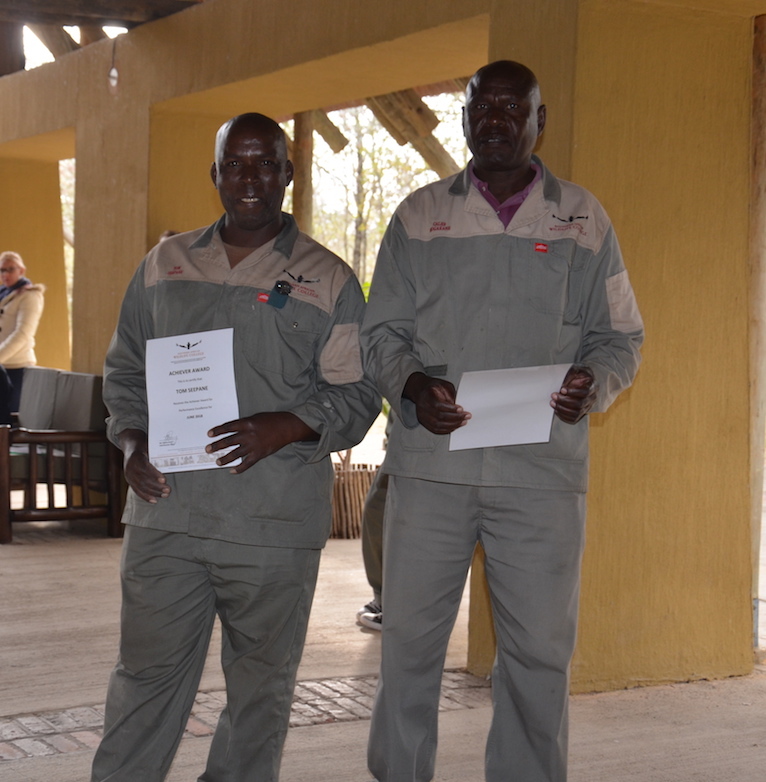 Standing out during this last quarter were achievers, Tom Seepane and Caleb Mokgakane who jointly won the award for Achiever of the Month for June for the exceptional work they have been doing at the College’s reed bed. Tom Seepane and Caleb Mokgakane jointly won the award for Achiever of the Month for June for their exceptional work at the college reed bed. They have been managing the system so well, with suggestions towards the functionality of the system, the plumbing thereof, the design and manufacturing of the floating islands/ rafts, and of course maintaining a clean environment around their area of work; making the reed bed an attractive area to visit. “I’m finding them to be very professional in the way they take instructions, their attention to detail and for being flexible when asking them to do other work. They also assisted with digging outside the College grounds to try and locate where the borehole cable broke, which is very hard work,” said their Supervisor, Thokozani Nkuna, who nominated them for the award. He stated that the nomination was not only for the work carried out but also because of the fact that they always avail themselves and have the College’s best interests at heart. “At the reed-bed they came up with innovative suggestions and applied their skills to improve the system. When they were asked to make a ramp at the main gate, they did not hesitate to do the job, even though it required them to work over a weekend, on a Sunday, to minimise the impact on the College’s operations. They did such a good job that Maintenance has received a lot of positive feedback and plenty of accolades for having the ramp made and making access for vehicles easier,” he said. 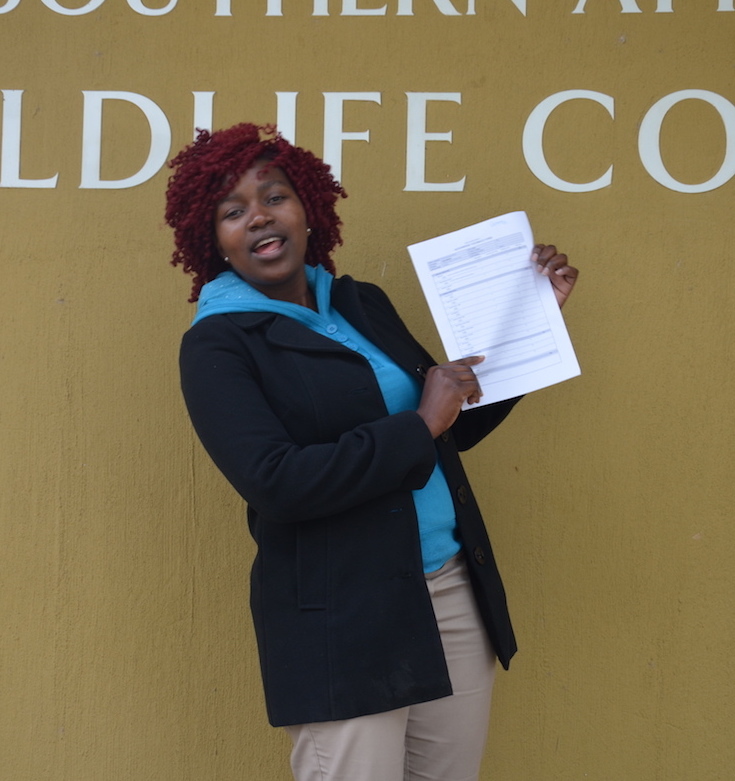 Perseverance Maake was handed her N6 Certificate in Human Resources, and congratulated on achieving this Diploma. 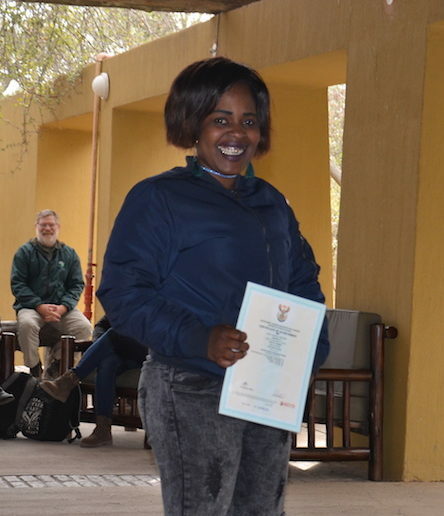 Rhandzane Goodness Ndlhovu received her Certificate in Warehouse Management.